Create your perfect business card. Nothing beats the power of introducing yourself and your brand with business cards. They are your professional introduction to potential clients and customers. There is something about that little piece of paper that no digital application can replace. UPrinting offers a wealth of size, shape, material, coating, finishing, and fold options to fit your business card design needs. 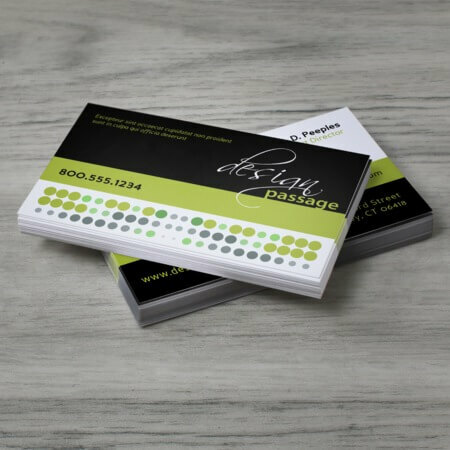 We offer the standard business card size, 2" x 3.5" rectangular, as well as custom sizes and shapes like leaf, slim, square, rounded corners, circle, half circle, oval, single rounded corners, and a variety of die cut shapes. Business cards are great ice breakers too! We have business card online options that make for great conversation starters. 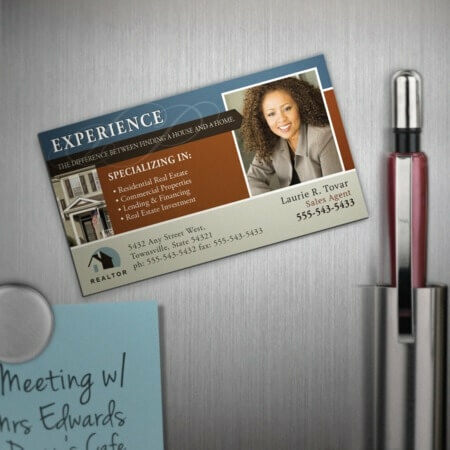 Aside from cardstocks, business cards can now be printed on plastic (clear plastic, white, or frosted) and magnets. When choosing the best material for your cards, check out our silk business cards or velvet business cards for a truly feel-good and premium material. 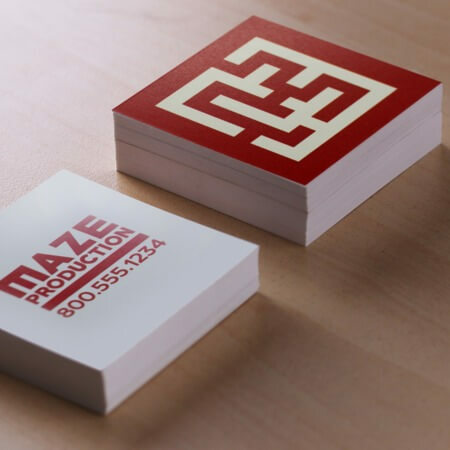 For more cool effects, we also offer foil accents, painted edges, spot UV, metallic, and raised spot UV business cards. Check out our business card design tips or head straight to our business card design templates to get started. With all these amazing options, it’s pretty hard to not stand out and be remembered. Get your business cards shipped to your doorstep, or pick up from our locations at 10930 Santa Monica Blvd., West Los Angeles or 8000 Haskell Ave. Van Nuys from Mondays to Fridays 9am-7pm.